I enjoy trying new options to protect my feet against unnatural surfaces and sharp rocks that are lying in the trail. Decided to give the TERRA minimalist footwear a try. The traditional Japanese Tabi design is what struck my initial interest. This pair of footwear puts a modern twist on what has been around for centuries in various cultures. ZEM's feature a zero drop construction, which puts your body at its natural alignment. Well as a flexible soling to allow your foot to travel with a full range of motion. The split toe benefits balance as your walking or doing lateral type moments. ZEMgear TERRA tested in below freezing conditions. Testing in very slippy conditions. 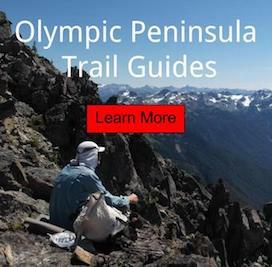 I tested my ZEM's while Urban Hiking, Lifestyle environments and in the Olympic Mountains. Weight of my size 11 feet came in at 12 oz a pair. - Feels like you are walking around with socks on. - Flexible and natural range of motion. - Ground feedback gives the feeling of every object being soft through the soling. - Upper did a great job of keeping trail debris out! - Upper has a seamless feel. I experienced no irritation or hot spots in conditions tested. - The high cut booty fit, did not allow my foot to slide fully forward into this model. I have an above average high instep. - Breathability was hindered by the lycra upper. Toasty in urban environment, but chilly in the wilderness. Causing my feet to squeak with each step as air and water left the footwear after saturated. - Toe box is a bit narrow, hindering my above average wide feet natural toe splay. - The TPU bands did a great job of holding my foot in place. - Poor traction on wet smooth surfaces. I hope they change this in the future. Tracking a coyote in the Olympic Mountains on spring snow. Multiple creek & river fords in the Quinault Rainforest. These are great for training your feet to be strong, maintaining natural posture and lifestyle footwear. I look forward to trying new products from ZEM as their company evolves. Will continue to use my TERRA for urban hiking and appropriate environments for the upper. I hope to get my son a pair someday for school. Get chilly feet in your current minimalist footwear? Give ZEMgear TERRA a try. Disclaimer: I was provided this footwear for a review from ZEMgear.